It’s quite easy to duplicate trades between many MetaTrader 4 accounts using the Local Trade Copier and it’s lightning fast. 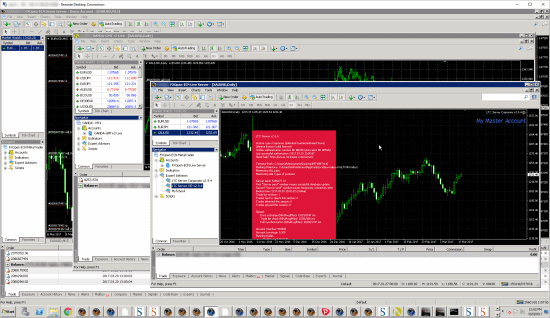 Anyone with any experience using MetaTrader 4 (MT4) could setup master and client apps within 5 minutes and start copying trades immediately. In any case, there are instruction manuals included. I’ve also explained the process below in 6 simple steps and you can also watch this video demonstrating LTC installation. The first step is to prepare MetaTrader 4 platforms. You can do this on any Windows-based desktop PC, laptop or VPS server. MAC users click here. 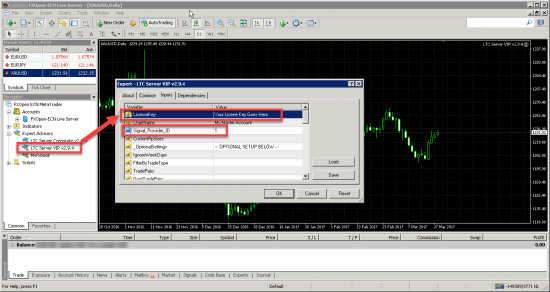 Important to note that all MT4 terminals must be running all the time on the same computer to copy the trades between MT4 accounts. To copy trades to your client’s MT4 running on their computer you need a remote trade copier such as Signal Magician. Choosing installation destination folder where LTC Server EA must be installed. Refresh Navigator after installation complete. Master MT4 account is where you will be copying trades from and each of them must have LTC Server EA running all the time. You can have any amount of master MT4 accounts as long as your computer has enough power. Master accounts are also be called server accounts, provider accounts or sender accounts. Use LTC’s auto-installer to install Server EA to multiple accounts automatically or copy its files manually to each MT4 Data Folder. After installation, Refresh Navigator window or restart MT4 for the Client EA to appear on the “Expert Advisors” list. An MT4 account becomes a master account once you start the Server EA on that particular platform. You decide which MT4 accounts will be masters and which ones will be clients. Choosing installation destination folder where LTC Client EA must be installed. Refresh Navigator after installation complete. Client MT4 account is where you will be copying trades to and each of them must have LTC Client EA running all the time. You can have any amount of client MT4 accounts as long as your computer has enough power. Client accounts can also be called slave accounts, follower accounts or receiver accounts. Use LTC’s auto-installer to install Client EA to multiple accounts automatically or copy its files manually to each MT4 Data Folder. An MT4 account becomes a client account once you start the Client EA on that particular platform. You decide which MT4 accounts will be masters and which ones will be clients. Each client account can also act as a master account sending trades to a different group of client accounts further on. Launching LTC Server EA on MT4 master account. Attach LTC Server EA to all MT4 master accounts you want to copy the trades from. You can add or remove master accounts from your setup anytime you want. To run the Server EA you will have to input a license key that’s sent to your inbox after you purchase a Local Trade Copier. Only one chart needs to have Server EA attached per MT4 master account to copy all trades of all the instruments. EA can be attached to any chart or any time frame, but I recommend EURUSD. I highly recommend using a separate empty chart for the LTC Server EA and do not attach any other indicators or scripts to the same chart window. You can start Server EA with default settings and learn all different options along the way. By default, Server EA uses Signal_Provider_ID=1, which means it will send trades to all Client EAs operating with the same ID, or in other words, in the same group #1. You can use this parameter to have different groups of accounts on the same computer copying different strategies. 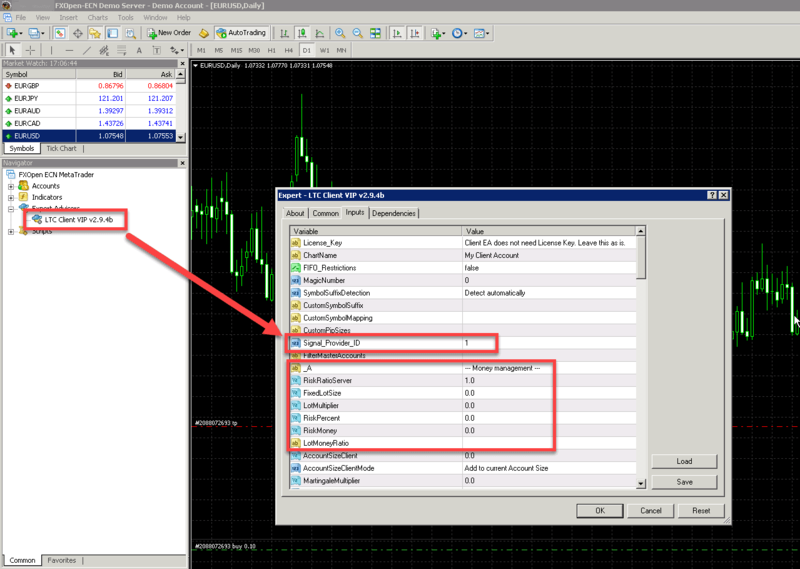 Once started, LTC Server EA will start scanning your MT4 account non-stop for new trades and existing trade changes and send them to other MT4 accounts(the ones that have Client EA running). By default, Client EA uses Signal_Provider_ID=1, which means it will listen for trading signals to all Server EAs operating with the same ID, or in other words, in the same group #1. You can use this parameter to have different groups of accounts on the same computer copying different strategies. It is also possible to set a list of master accounts to follow using the FilterMasterAccounts parameter. Details are explained in the instruction manual. By default, Client EA will copy the trades risking the same amount in percentage according to master and client account difference and deposit currency. With LTC it is possible to determine the risk factor for each client account separately. In other words, LTC can handle different lot sizes for different accounts independent of their balance. LTC does all the necessary conversion so if the client account is 5x times bigger the position size copied will be 5x times bigger as well as an example. Local Trade Copier has 5 risk management options. The best way to test if a trade copier setup is correct without any risk is to place a pending order on the master account at any price very far away from the current market price (at least 30 pips away). This way it won’t be triggered and you will be able to see if Client EA catches and copies the trade. Of course, on a demo account, you can test with any type of trade. The trade should be copied in less than 1 second. If your Local Trade Copier is copying trades slower you should read this article to learn how MT4 speed can be improved. Once the trade is copied you will find all kinds of information printed in the EXPERTS log at the bottom of MT4 (copy speed, slippage, etc). This is also a place to look for any error or warning messages if you see any of the Client EA’s gray icons turn red. Watch these videos for more detailed explanation on how to install and use Local Trade Copier on MT4. I tried to find some good MetaTrader signal copy program for a long time. Finally I've found Local Trade Copier and I can recommend this amazing software to anyone. There is no delay when copying trades and installation is pretty easy. I’m completely satisfied with this product.